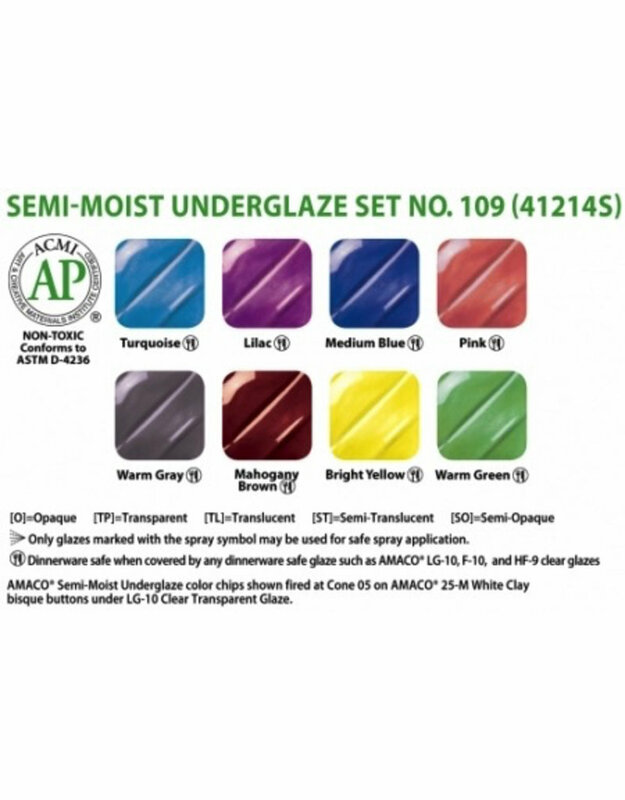 AMACO® Semi-Moist Underglaze Decorating Colours are suitable for many types of ceramic painting. They are especially good for water colour effects and painting of fine detail. Decorating colours are concentrated, intense and opaque. Additional shades and tints can be made by intermixing. Colours may be brushed on either bisque or greenware. A brush dipped in water lifts the colour for decorating. Further thinning of the water soluble colours prepares them for transparent water colour effects by brushing. Because the colours are approximately the same tone before and after firing, the effectiveness of colour combinations and blending can be observed as painting progresses. Coloirs dry quickly and may be handled without damage.